My spirit feels cold within me, saddened by my worship…the very worship of idols, man-made things that speak nothing of the God I know. I’ve fallen, jumped into the bog. Spare my life Father, that somehow You can restore me as Your son, and help me to change my ways. Burn away my selfish ways, my demonic desires. Mould me by the truth. Overwhelm me with the fear of the Lord, and draw me to my knees again. Open my eyes and pull off the blinders Lord. Please expose my sin and reveal how to overcome it. Through love I will learn to live again. Through truth I will not let lies tarry in Your temple. I will learn to trust in my God. I place my hope in God, for without Him I am nothing. I cannot function with You. My life is dependant on You. Without You all joy is stripped away. Remove Yourself and my life would wither like a dead flower. Nourish me Lord, please. Renew my mind. Transform me into an obedient servant. I lay my life before You. Humbled in Your sight, I repent. You are a good Father, a great Father. Thank you for Your discipline, Thank You. I recognize I can’t do anything to make myself worthy. The cross paid for me, please help me to remember that. Have you ever prayed for something for years and years without seeing concrete results? Is prayer simply wishful thinking? Do you view God as able to accomplish what He says He will do? How long do you have to wait? I’ve prayed and prayed and questioned and questioned, still I pray. I pray because I believe. I believe when I can’t see it. I hope when I don’t feel it. I believe God. I hope in God. It is my belief that effective prayer is joining in the perpetual conversation between Father, Son and Holy Spirit in divine communication. I want to pray effectively so I listen for what He is talking about. I look in His Word for His thoughts, His initiatives, His directives, in short, His will. I want to pray what He is praying. It has been over fourteen years since I felt another one of those promptings in prayer. I was praying for a family member when I sensed the Holy Spirit “stamping” His word over him. The specific passage was found in Daniel 9:24. Seventy weeks have been decreed for your people and your holy city, to finish the transgression, to make an end of sin, to make atonement for iniquity, to bring in everlasting righteousness, to seal up vision and prophecy and to anoint the most holy place. As I have prayed this passage I have gained fuller understanding as to the specific directives and promises that God set out for His people as He was calling them out of exile back to Himself. In developing a two-year discipleship program for Sanctus School For Worshippers several years ago, I could not help but see beautiful parallels in this passage to what God would systematically accomplish in the lives of our students over the 35-week school year (times two equals 70 weeks!). I set out to align our curriculum into three 11 to 12 week stages each year and have been privileged to watch God do what He said He would do in the lives of those who set aside “Sanctus time” in cooperation with His plans for each of them. 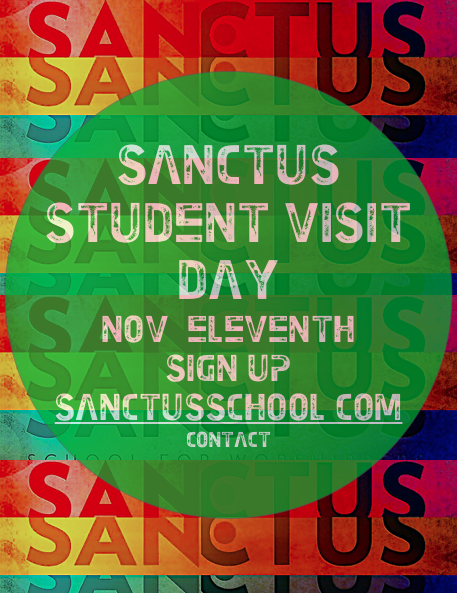 Check back to learn more about each stage and how you can be specifically praying for our students and our school. 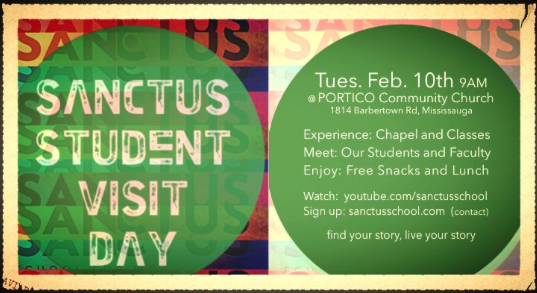 Watch Session #1 of the God Is Love Series by Jim Argue filmed at Sanctus. 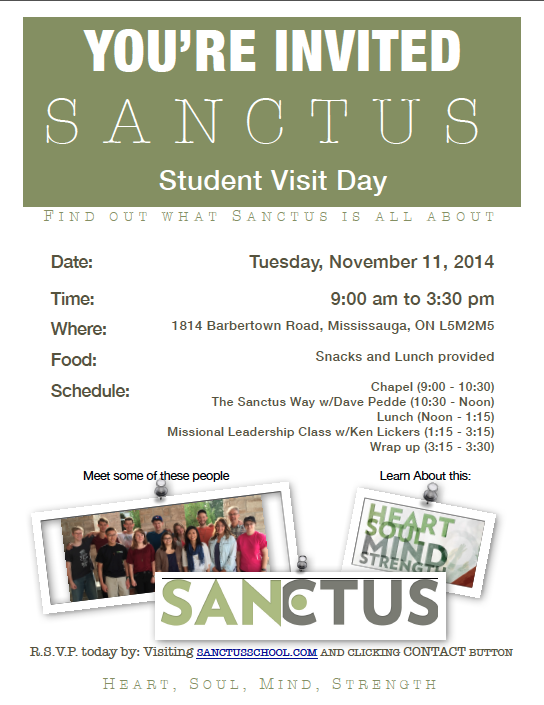 Sanctus Fall Visit Day Announced – Nov. 11, 2014 R.S.V.P.